I find that the stems can add a bitter taste to the juice, so I pull the berries off before cooking. It takes a bit of time, but it’s easy. 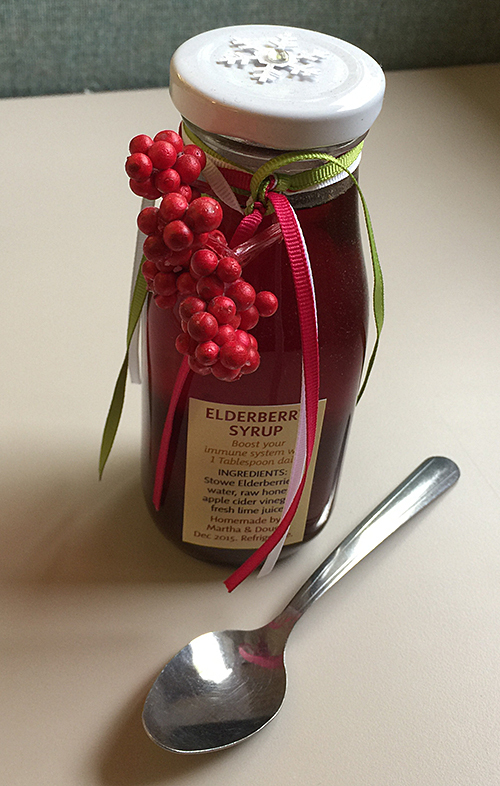 To make the syrup “giftable,” I poured it into 5-ounce jars and added ribbon and faux berries. Yum! What a great gift to give from your own garden. Thanks for the delicious and thoughtful post! I love this! 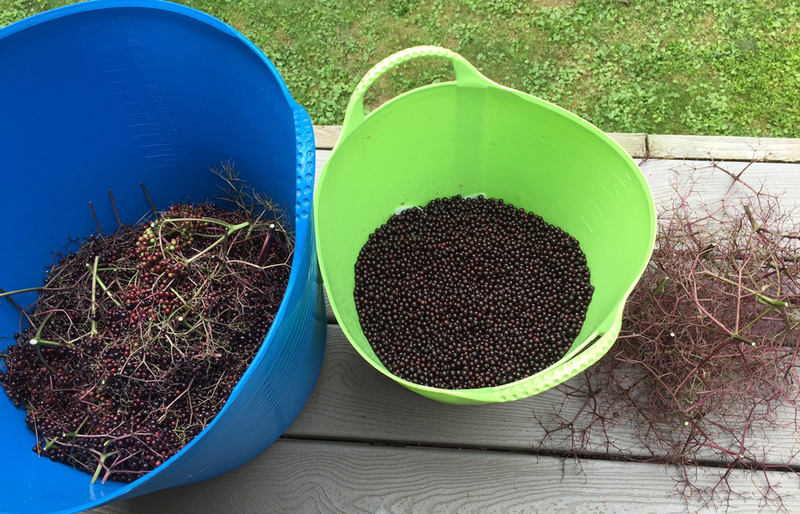 I’ve been buying dried elderberries for years to make immune-boosting syrup, but I’d never thought to plant my own bush. I’ll definitely be planting one or two this coming spring!